The town of Orosí is a treasure for tourists, locals, and new residents alike. It seems to strike a perfect balance between the calm nature of the country side and the convenience of city living. The majority of the population is made up of Costa Ricans (affectionately known as “Ticos”), although a fair number of foreigners have chosen to make Orosí their new home. The city retains the authentic Costa Rican flavor, with coffee plantations and deep valleys, while offering a variety of cafes, shops, and restaurants for its residents. Despite its popularity among expatriates and tourists, the Orosí valley continues to offer a variety of relatively inexpensive real estate and vacation rentals. Lots, raw land, and farms are easily acquired for those looking build their own luxury homes or manage a coffee plantation. Maintaining one’s own farm or bed & breakfast in Orosí provides a chance to pursue one’s dreams of investing in Costa Rica. Unlike other towns, there are a variety of styles of homes available for purchase in Orosí. 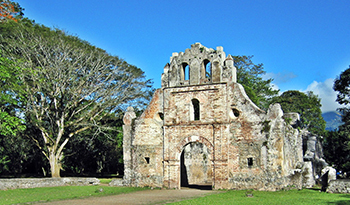 Wooden cabins, Northern American style houses, and traditional Costa Rican homes can all be found in Orosí real estate. No matter which home you choose, you’ll have the valley of Orosí as your very own backyard. Villas and cabins are available for rent throughout the valley. Many vacations rentals include tour packages, meals, and even cars for rent. An extra-long vacation in a villa or cabin is the perfect way to test drive a new life and home in Orosí.